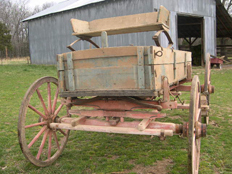 Original (straight-from-the-barn) condition John Deere one-horse wagon. Includes original seat, wheel wrench, and shafts. 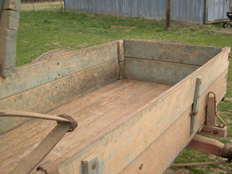 When found, this wagon and gear were covered in dust. Only after a careful cleaning did we discover a fair amount of paint and pin striping still visible on the gear. 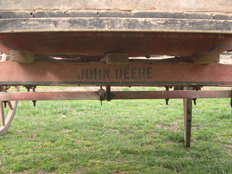 The logo is still quite legible on the rear axle and there are remnants of the John Deere, Moline Illinois name on the front left portion of the box. 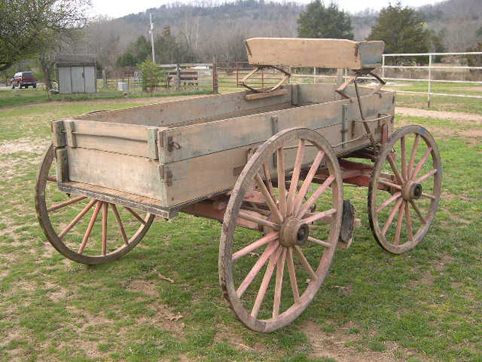 This wagon has not been allowed to sit and rot. It’s seen its share of use, but the wheels, gear, and box are sound. Wheels measure 43” on the back and 39” on the front. 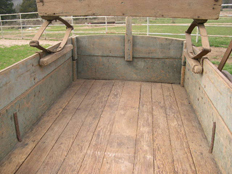 Box width is 38 inches and length is 8 ½ feet. Inside depth is 14 inches. Wheel track is 62 inches. There is a bolster spring on the front bolster and it has clearly been there for a long time. 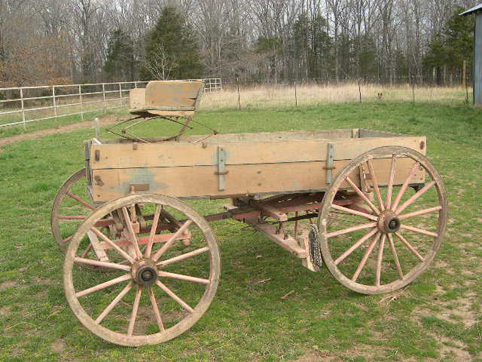 One-horse wagons are much harder to come by and this vintage wooden hub and wooden axle John Deere is a rare, original condition find. Serious inquiries only, info@wheelsthatwonthewest.com for more details and price.